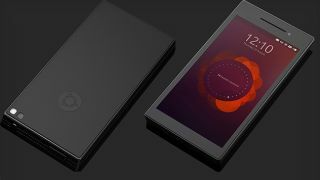 A leaked photo ahead of Canonical's big reveal has shown off the Ubuntu Edge – a handset built to take advantage of the Ubuntu for Smartphones OS. Canonical is desperate to capitalise on the mobile explosion, especially given the success of Android. The Ubuntu Edge certainly looks snazzy enough – but can it convince the Linux legions that it should be their handset of choice? The big event is later on, so expect a bit more detail then.